In Chaos catches Eric Bray at a particularly experimental stage. 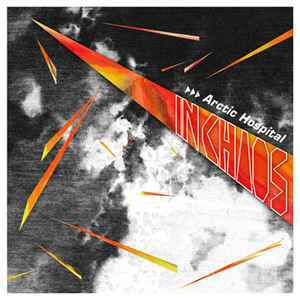 From the upfront club bangers of Citystream to the much more subdued sensibilities of Neon Veils, In Chaos follows as probably the least immediately accessible Arctic Hospital album. At the same time it might be the most interesting with its IDM-esque forays into experimental pop that conjure similar moments of Lusine or Bola. Rather than nine straight tracks of four-on-the-floor, In Chaos introduces multi-part songs, sophisticated chord progressions, recorded (though abstract) vocals and a greater variety of percussion patterns & sounds. In Chaos is an aggressive showcase for the recent evolution of Arctic Hospital. With its dense layers of frantic percussion & arpeggiation and exploration-driven production, it ultimately lacks the cohesive vision & sound of the relatively minimalistic Neon Veils. But even on their individual basis, the tracks of In Chaos are worth hearing. More than ever, it leaves me looking forward to the next Arctic Hospital experiment.